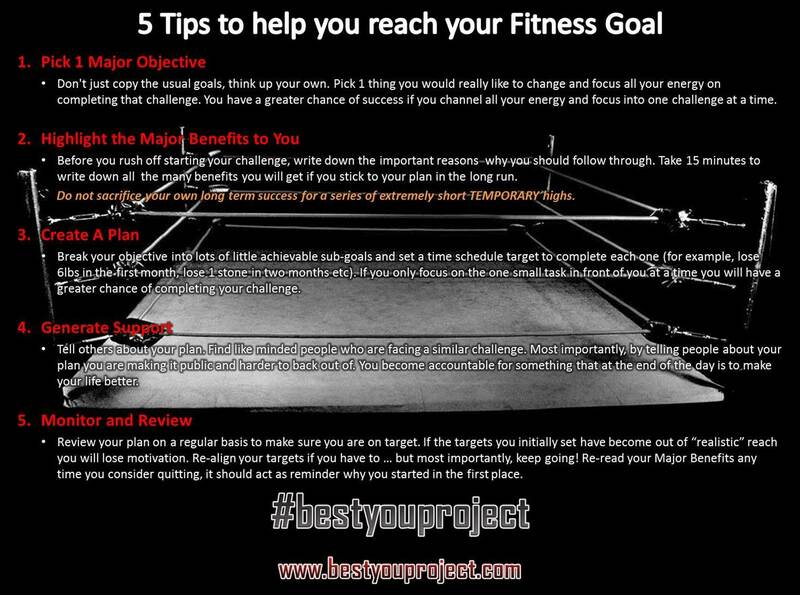 5 Tips To Help You Reach Your Fitness Goal! Don’t just copy the usual goals, think up your own. Pick 1 thing you would really like to change and focus all your energy on completing that challenge. You have a greater chance of success if you channel all your energy and focus into one challenge at a time. Before you rush off starting your challenge, write down the important reasons why you should follow through. Take 15 minutes to write down all the many benefits you will get if you stick to your plan in the long run. Break your objective into lots of little achievable sub-goals and set a time schedule target to complete each one (for example, lose 6lbs in the first month, lose 1 stone in two months etc). If you only focus on the one small task in front of you at a time you will have a greater chance of completing your challenge. Tell others about your plan. Find like minded people who are facing a similar challenge. Most importantly, by telling people about your plan you are making it public and harder to back out of. You become accountable for something that at the end of the day is to make your life better. Review your plan on a regular basis to make sure you are on target. If the targets you initially set have become out of “realistic” reach you will lose motivation. Re-align your targets if you have to … but most importantly, keep going! Re-read your Major Benefits any time you consider quitting, it should act as reminder why you started in the first place. 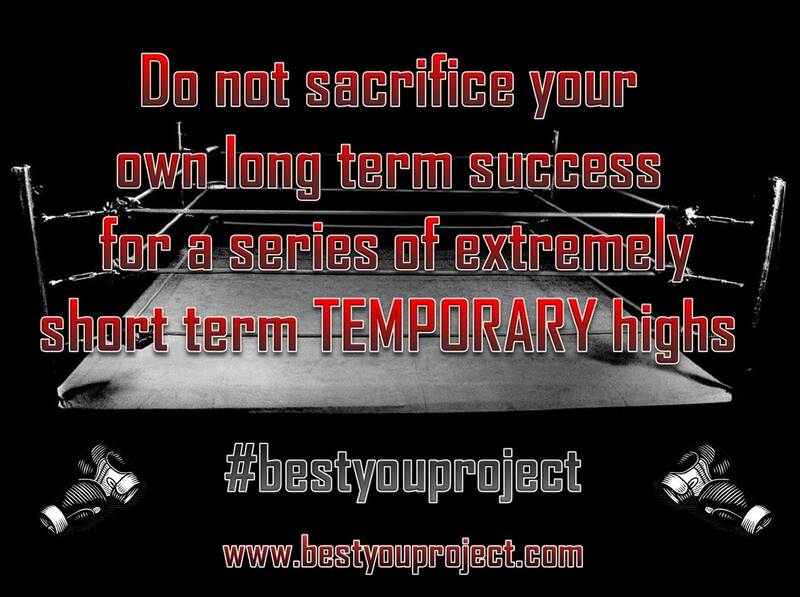 Do not sacrifice your own long term success for a series of extremely short TEMPORARY highs. Treat any failure as a temporary set-back rather than a reason to give up altogether! And remember … anyone can quit, it takes someone strong to keep going when everything else says you should give up! Previous Post For my boys – the huge importance of being your true self! Next Post Attention to Detail … but What Detail?